Not far from Rulewater, the ruinous Cavers Castle, hidden behind the village of Denholm is currently for sale if you fancy a challenge! 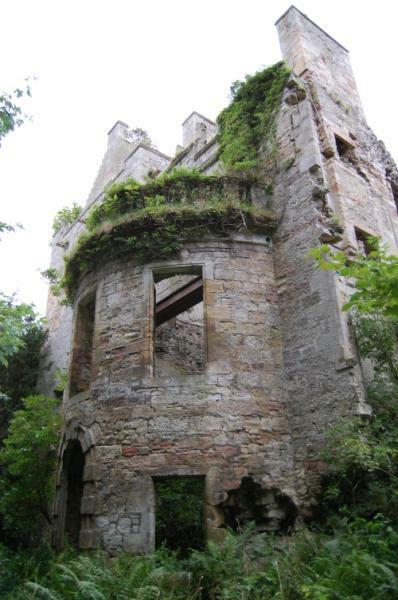 Dating from the 1200's, it was inhabited by the Balliols then Robert the Bruce granted the lands to to the good/ the black Sir James Douglas. Sir James was Bruce's brave knight. ​One of my favourite tales is that when Robert the Bruce fell in battle, Sir James carried Bruce's heart on the crusades, where he fell in battle at Teba. Bruce's heart was buried at Melrose Abbey, and Sir James Douglas at St Bride's Church.